Royal Harbor might be described as an anchor community in South Naples. Development of single-family homes in Royal Harbor began in the 1960s and 70s, making it an anchor from an historical perspective. The community still retains an old Florida ambiance that visitors to the Naples area expect. It might also deserve that moniker due to the number of boats anchored along its mile-and-a-half shoreline along the east side of Naples Bay, stretching from the Gordon River on the north to Haldeman Creek on the south. That does not even take into consideration the many more anchored at homes along the numerous, deep-water canals. In addition to the 400+ single-family homes in Royal Harbor, the small neighborhoods of Harbor Lakes and Royal Bay consist of two and three-story condos and attached villa homes. Several of these neighborhoods, such as those located on Blue Point Avenue and the cul-de-sac peninsulas off of it, have private pools and tennis courts. The Harbor Lakes neighborhood permits owners to lease their condos for a minimum of 30 days to a maximum of one year. However, a unit may be rented no more than twice in any calendar year or rolling twelve-month period. The Gulf of Mexico is only two miles from the southern tip of Royal Harbor. Every waterfront home has direct, no-bridge access to the Gulf through Gordon Pass. A boating trip to Marco Island can be done by leisurely sailing south through Dollar Bay, following the still waters all the way past Little Marco Island and Cannon Island. It is just a 12 mile trip from Royal Harbor residences, through dense, natural Florida habitat, to the marinas on the north end of Marco Island. Royal Harbor’s proximity to Naples’ famous Tin City, Fifth Avenue and Third Avenue shopping, dining, and entertainment districts should not go unmentioned. From that same southern tip of the community, it is only a two-mile drive to the Tin City Shops and about another half mile to the upscale shops of Fifth Avenue. Keep in mind that that is the farthest distance residents of Royal Harbor have to drive to reach those places. For northernmost residents, it is little more than half-a-mile. The quiet waterfront properties, the tall, swaying, royal palms bent by the ocean breezes, and the lush, mature landscaping add to the eclectic nature of the community, much in the same way that Fifth Avenue and Tin City complement each other. Just because a resident does not live in a golfing community does not mean that they do not want to play some golf occasionally. Fortunately for Royal Harbor homeowners, Windstar Country Club is just across the street, and it welcomes Royal Harbor residents to play on its 18-hole, Tom Fazio-designed course or to use its driving range. Last, but not least, Naples Beach is less than three miles away with plenty of public access points. 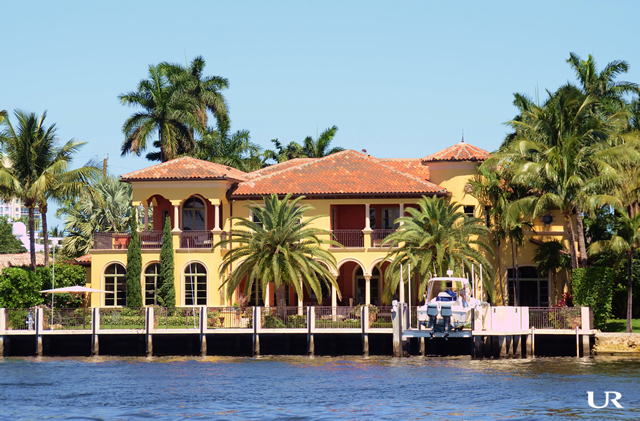 Life does not get much than living in the slice of authentic Florida lifestyle of Royal Harbor.